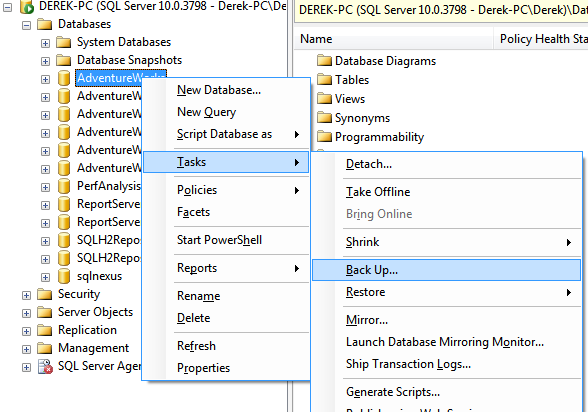 Backing up a database is relatively straight forward using SQL Server Management Studio. First open management studio and connect to the Database Server that contains the database you want to backup. 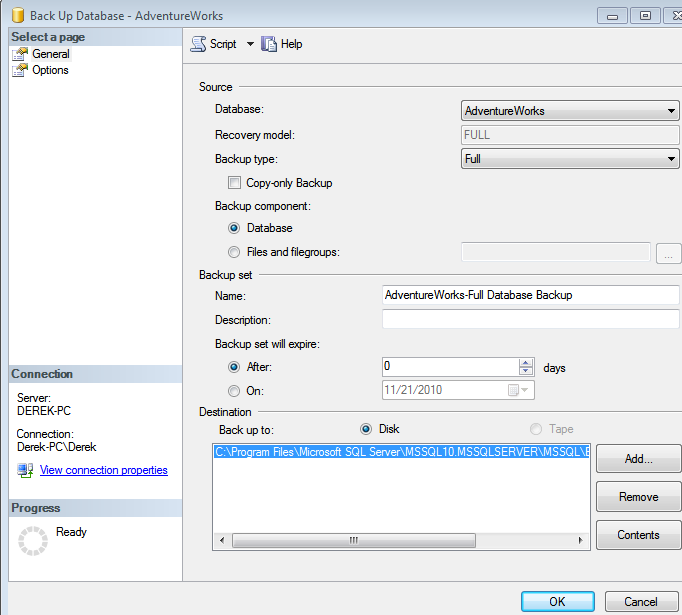 Expand the “Databases” folder and right-click on the database you want to make a backup of. From here, if you simply hit the “OK” button, your database will be backed up in the default location. However, let’s specify a location so we can find it. You can select “OK” and the backup will begin. You can optionally at this point, select the “Script” button at the top of the dialog in order to retrieve the script that SSMS uses to perform the backup. A new window will open and you will have your script. You can then use this script in a job, or run it yourself. how we can configure jobs,alerts in sql server 2000? how can i configure jobs,alerts in sql server 2000.? my name is shaveta sharma .i m working as lecturer in engineering college in india.but i hav some problems while giving notes on some topics related to my subject database administration.kindly send me details regarding my query i posted above. 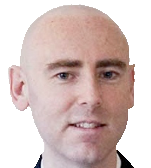 Hi Derek, I am new to DBA activities and found the information presented here is very useful and provide easy way to learn and understand. Just want to know any articles already posted related to database restore. If yes, kindly provide the link. Sorry Komathi, not yet. I put it on my things to write about though. You have started a great, clean and clearly described SQL DBA web site. The best thing about your site is that you are writing this with a lot of patience as if you are training a DBA. Wonderful approach, I am enjoying it.